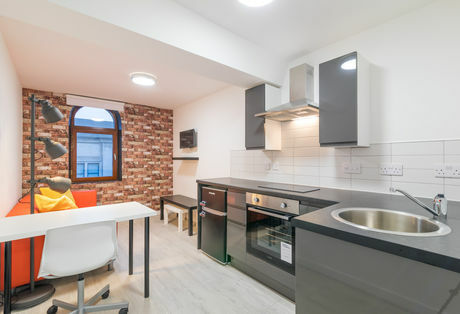 Sir Thomas is a purpose-built student accommodation located in the heart of Liverpool, taking home the desirable L1 postcode. The development comprises of 44 studios which have all been spaciously designed to separate, sleeping, living and work areas. 5 minutes from Liverpool One shopping centre and a short walk to Liverpool Waters means, student residence of Sir Thomas will also be situated close to an array of shops, bars and restaurants. The final images mirror the CGI’s, with an economic design truly setting the development above any other student accommodation in Liverpool. If you would like more information on the completion of Sir Thomas, don’t hesitate to contact us on +44 (0) 161 337 3890 or email enquiries@hopwoodhouse.com.